If you’re looking for a unique living experience for your extended stay in Dallas, 1900 Elm definitely fits the bill. 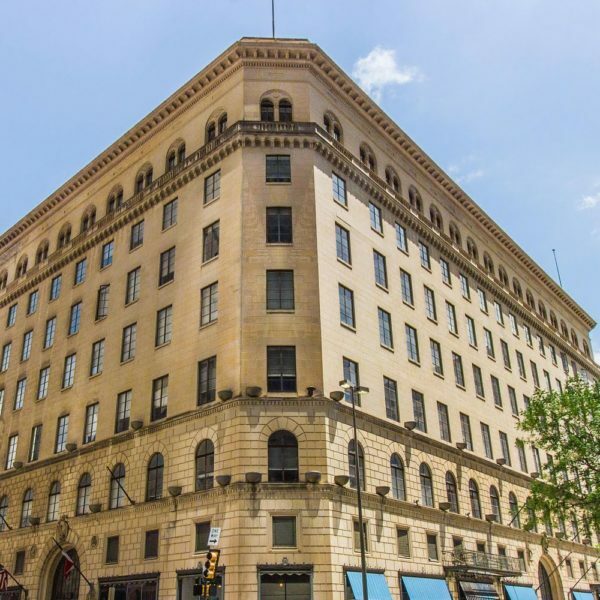 Renovated from one of Dallas’s first department stores, this one of a kind complex offers luxurious studio and 2 bedroom apartment homes. Each apartment is designed around the original architectural elements of the building with some newer contemporary additions. Every floor plan features spacious living areas with generous storage space. Some offer fabulous arched windows with panoramic city views, while others have floor-to-ceiling windows that open to the building’s spectacular open-air atrium. Select units also include original 15-foot columns adorned by Art Deco crown molding, balconies, as well as authentic casement windows. Community amenities include 24-hour fitness center, coffee bar, community game room, underground parking garage, laundry facility, and complimentary Wi-Fi in the lobby.